I am definitely a Northern California girl. The hilly landscapes, year-round fog, gorgeous Golden Gate Bridge, cable cars, and colorful Victorian houses.... that mostly year round layering wardrobe weather...it just all makes my heart skip a beat ! Lin and I had tossed around a Northern California move very seriously for a bit so we jumped on the opportunity for him to attend a business seminar there for GreenBuild and I tagged along. I even went on 5 job interviews was how serious we wanted to see ourselves in this amazing international city. (got offers on two of the 5 too) The mass transit is the best I have seen! We had a late flight in and caught the train to Clift Hotel. It was meant to be obviously by the quote left in our room.... I mean are you kidding me? We clean up and head to a reserved table at Redwood Room where a French 75 awaits me courtesy of my sweet silver fox. Clift's famous and historic Redwood Room has been restored and reinvented as an exceptionally elegant and modern San Francisco bar. Suffused with all-out glamour, the interior features an enormous etched glass bar and the original redwood paneling, which, legend has, was carved from a single redwood tree, as well as Starck-designed lounge furniture and an ever-changing array of digital artwork displayed on plasma television screens hung throughout the room. Too much fun in The Redwood Room so we needed a late night dinner. We headed over to North Beach and indulged in a fantastic slice from Golden Boy Pizza which came highly recommended from a friend. It's a must at 1:00 a.m ! Have a fabulous night's rest and wake up super early to see the sun greet the bay. Well I do anyway...that fox is not a morning person . Time to put on my city walking shoes and explore Nob Hill and other great areas of SF. Such a darling little area ! Nob Hill is one of San Francisco's signature neighborhoods, renowned for its city landmarks and the famous hotels that border Huntington Park. For those who explore further, it also reveals unexpected facets. In addition to its swanky character, the area is influenced by the diverse personalities of the downtown neighborhoods that surround it, making it an intriguing place to visit. The area's reputation of privilege dates back to Gold Rush times, when cable car lines made the hilltop accessible and the railroad barons and bonanza kings built their mansions there, far above the rowdiness of the bawdy waterfront. Luxury hotels now stand in the place of those original palaces, and when you hike to the top of the hill, (and my goodness that hill almost killed me) historic buildings such as the Fairmont Hotel and the Flood Mansion are undeniably impressive, as are the lush cascades of bougainvillea and the genteel apartment buildings with their wedding-cake facades. Venture away from Huntington Square and the terrain starts to change. Chinese temples and small businesses spill over from Chinatown, and over towards Union Square you find upscale boutiques. Funky shops and dive bars lie along the blurred edges of the Tenderloin (an area known as the Tender Nob), and the Polk Street boundary is lined with nightclubs and popular bars. Some parts of the neighborhood feel frozen in time. The hill is dotted with vintage barber shops, old corner coffee shops and cocktail lounges from bygone decades. Nob Hill has also been home to some iconic San Francisco characters. Legendary columnist Herb Caen lived in the Brocklebank building, across from the Fairmont Hotel, and the neighborhood was home to Marian and Vivian Brown, the famous "San Francisco twins," known for their signature identical outfits. Definitely tour Grace Cathedral. It's wonderful ! Stop into the adorable Cafe Isabella for an afternoon pick me up, especially after hiking up those hills. 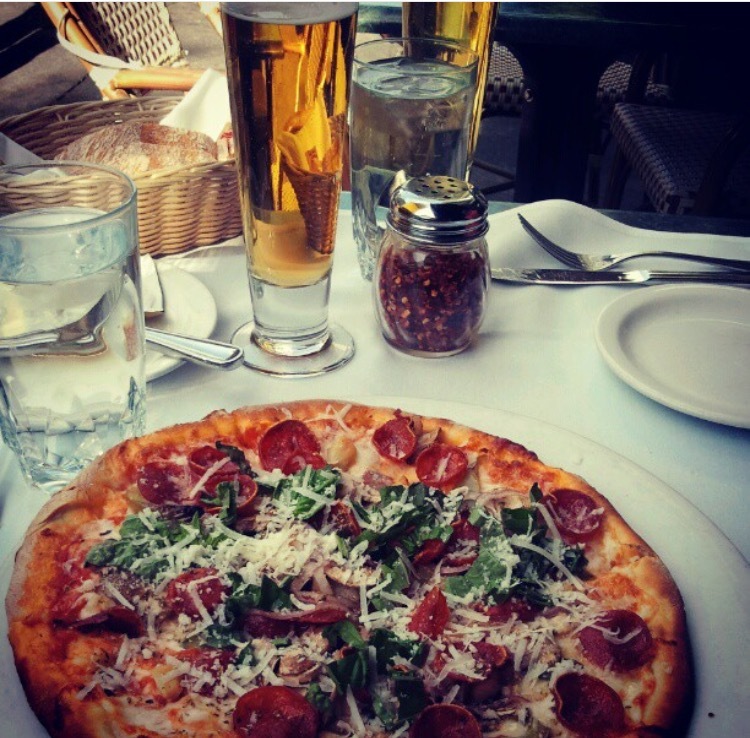 Enjoy a delicious pizza at Nob Hill Cafe. This gem is so charming ! Lombard Street is known for the one-way block on Russian Hill between Hyde and Leavenworth Streets, where eight sharp turns are said to make it the most crooked street in the world. The design, first suggested by property owner Carl Henry and built in 1922,was intended to reduce the hill's natural 27% grade,which was too steep for most vehicles. It is also a hazard to pedestrians, who are accustomed to shallow inclines, up to 4.86° because of wheel chair navigability concerns. The crooked block is perhaps 600 feet (180 m) long (412.5 feet (125.7 m) straight-line), is one-way (downhill) and is paved with red bricks. The sign at the top recommends 5 mph (8 km/h). Soooo much walking and exploring...it is now time for a cold beer at the charming Caffe Sapore! We totally were spontaneous and decided to jump on the ferry and explore Oakland. My phone died so I did not get too document that part of the journey but Oakland is definitely a place I would like to revisit ! We then head take the train to Presidio Heights to dine at Sociale. I had been stalking this restaurant for a year prior and just had to experience it ! 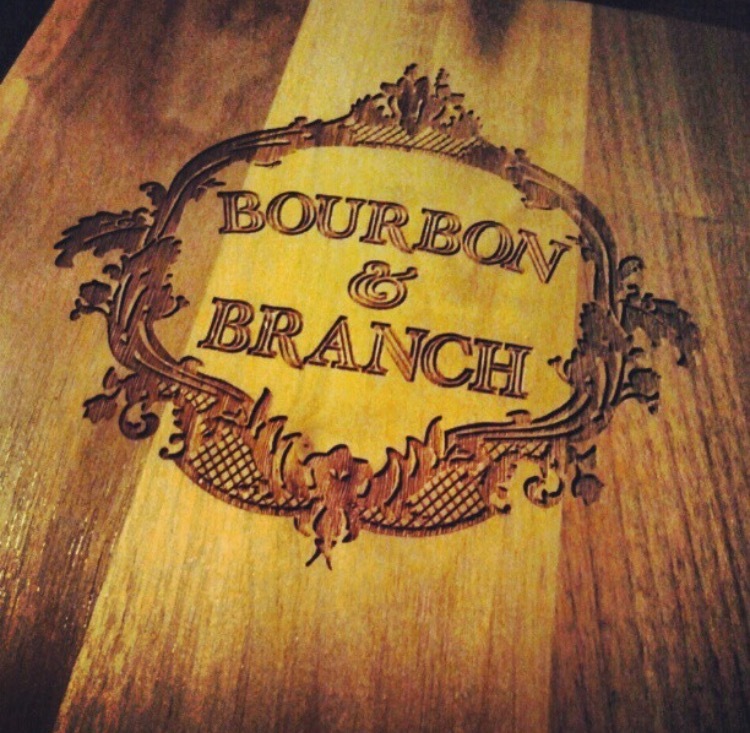 New restaurants often describe themselves as a ‘neighborhood spot’. It is not really something you can call yourself, though. It is something you become. Sociale, like social clubs in Italy, has evolved into a gathering place. Simply by being a setting for the marking of time, a place to celebrate the high points and the lull of ordinary days. Part of Sociale is being in the sweet toniness of the Presidio Heights neighborhood and then dipping out of it. Sociale starts on Sacramento Street, where you are greeted by a sign that beckons you down a path, tumbling with a florist’s greenery. At the end of the alley is the shaded, intimate outdoor dining nook. Soooo romantic !! Do get the carrot soup and the risotto. The next morning we were greeted by rain and fog and It was glorious !!! 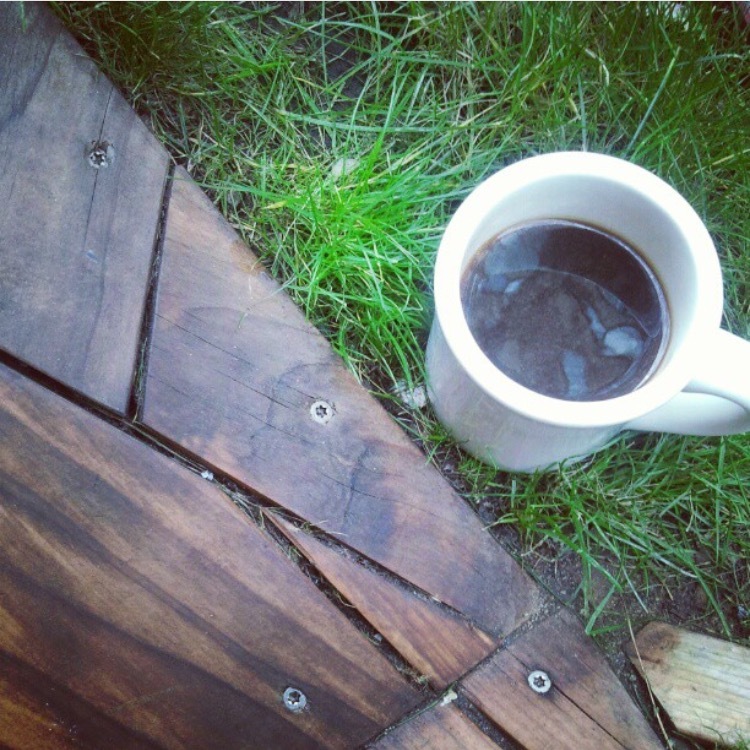 And an americano at The Farm Table was the perfect way to welcome the day! Such a fabulous little farm to table rustic space ! We then catch the train and have a fabulous organic breakfast at Trace inside the W Hotel ! Highly recommend anything on the menu with a mimosa, of course ! Then we toured the fabulous Museum of Modern Art. The SFMOMA had been on my bucket list so was thrilled to cross that off. 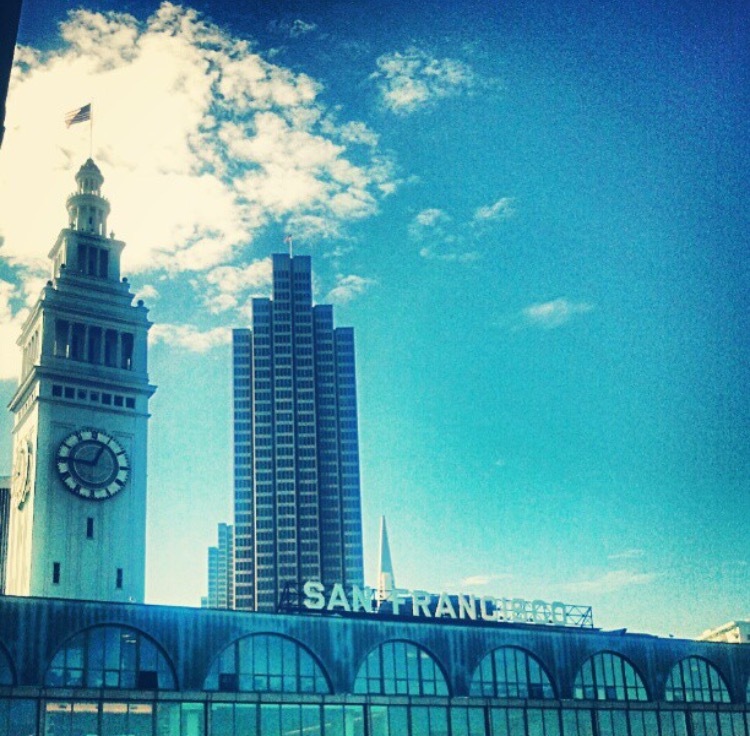 Next up ...ferry ride over to Sausalito California...otherwise known as Saucy Town. I have a long time friend living in a floating home community over there and she is dying to catch up ! Saucy Town is in Marin County. Sausalito is 8 miles south-southeast of San Rafael, at an elevation of 13 feet, commonly referred to as the "Sutter Creek of the North Bay". The population was 7,061 as of the 2010 census. The community is situated near the northern end of the Golden Gate Bridge, and prior to the building of that bridge served as a terminus for rail, car, and ferry traffic. Developed rapidly as a shipbuilding center in World War II, the city's industrial character gave way in postwar years to a reputation as a wealthy and artistic enclave, a picturesque residential community (incorporating large numbers of houseboats), and a tourist destination. It is adjacent to, and largely bounded by, the protected spaces of the Golden Gate National Recreation Area. And it's seriously the cutest thing !!! I knew Jen bought a house boat and it was amazing to see it first hand. She fixed it up soooo cute btw ! And this whole little floating home community was just the most fascinating to me. As a child I remember summers at Truth Or Consequences lake where my grandparents owned a cabin cruiser and it was docked at the marina with all the other house boats and cabin cruisers but to live on one like permanently ! Mind blown in a great way ! The easiest places to do a walking tour of a wide variety of houseboats are around the Gate 5 Road and Main Dock area, and at the Gate 6 Road Waldo Point Harbor area, labeled “A” and “B” on the map below. You can park in the Waldo Point Harbor lot for a shorter visit, or follow the map below to drive up Gate 6 1/2 road and park for a longer stay. Insiders Tip: Many members of the local community strongly prefer the term “Floating Homes” to Houseboats. Refer to them this way and you’re more likely to make friends with the residents. Kappas Marina, “A” Dock, Issaquah Dock and Liberty Dock are just some of the areas where you’ll find wonderful floating homes as you follow Gate 5 Road and Gate 6 Road to where they meet the Bay. You’ll also see a few of the battered survivors from the old era of improvised houseboats of decades past. Some docks are lined by beautiful flowers in containers that are tended by the owners as their “front yards”, and many of the homes have names and unique decorations. Some of these homes were once boats of different kinds, and the architectural visions that translated them into floating houses can be fascinating. As has been the tradition, many of the houseboat community members are professional artists. Stick to the well-maintained docks on your walking tour. There are some improvised walkways and planking in a few places but you don’t need to traverse any of these areas to admire the best architecture and it’s safer (and more respectful of residents’ privacy) to avoid them. A paid walking tour of the houseboats, Liberty Ship shipyards area and the yacht harbors of Sausalito is offered on Saturdays and Sundays by a local guide. Adorbs, right??! Travel just a few more miles into the wooded area of Mill Valley for shopping and exploring !! It was so amazing to see how you really do get the best of all worlds in Northern California. One minute you can be living it up in the big city, relaxing at the beach, and the next..you are in a wooded little town surrounded by the forest ! Before you leave Saucy town do dine at Le Garage ! Beautiful French cuisine and the mussels and sourdough bread still make me drool years later !! The next day more exploring is in order and remember we also scouting out areas at this time for possible relocation. Lin is drawn to The Mission area. 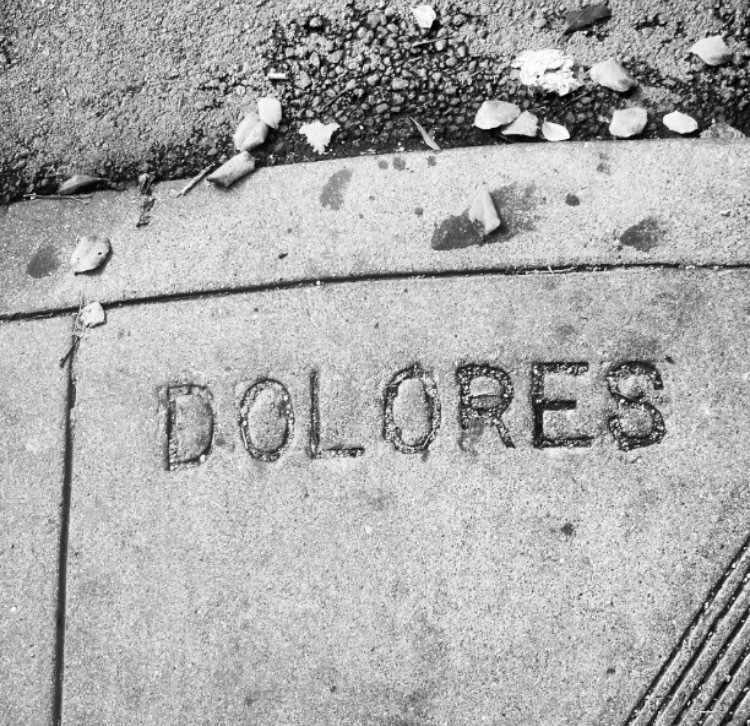 I am heavily drawn to anywhere in walking distance of Dolores Park. So this works for us. I previously loved The Soma area but this was a big NO for Lin. I had spent some time previously in SF before him and I started dating and already sorta had a feel for where I could really see myself here. But first coffee and Blue Bottle NEVER disappoints ! It's one of the best coffees in the world actually ! We explored all day long and had a fantastic picnic in Dolores Park! This park just screams home to me! 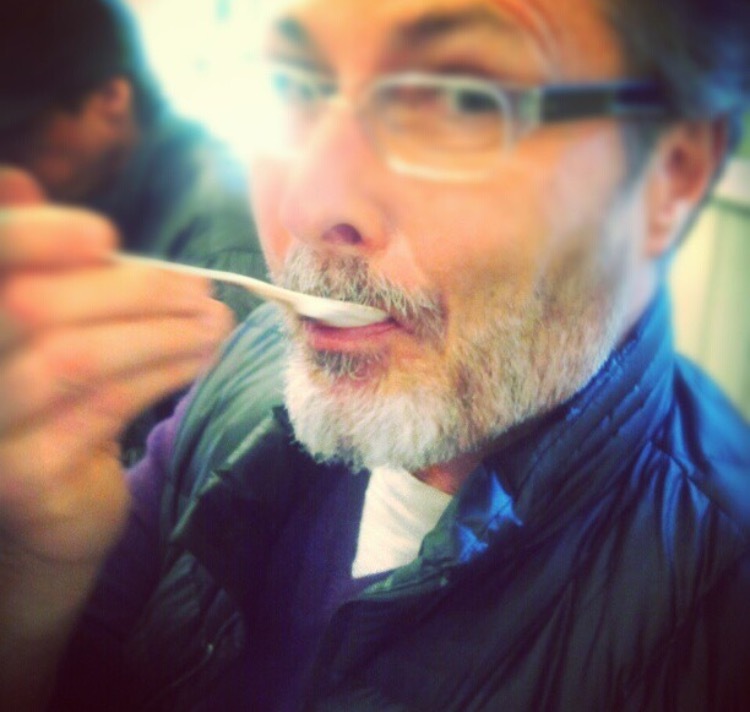 And Lin of course is addicted to Bi-Rite Creamery for ice cream. It's organic homemade ice cream and the salted caramel is defiantly the most delicious! The Bi-Rite market is uh-mazing! But it was also so very bitter sweet because we just could not get over our real estate sticker shock. We literally would be living in a shoe box and have zero money for anything else. The reality of the SF dream begins slipping away ...slowly. Nothing Bar Tartine and Tartine Bakery cannot fix though! 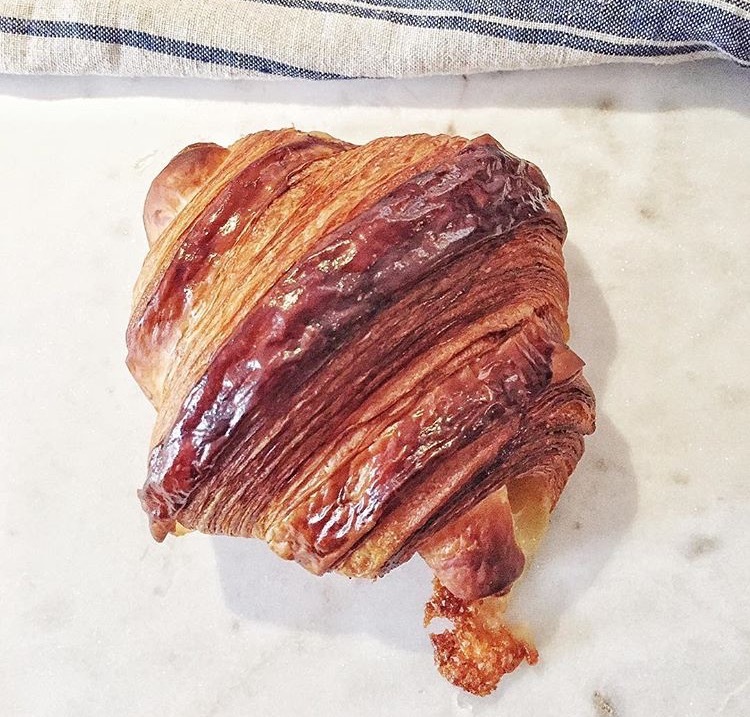 The croissants at the bakery are seriously crazy good. And the menu at Bar Tartine changes daily but I promise you will not have any regrets. Trust me when you are in SF...You go there!!!! Please. Don't you dare skip St. Vincent either even if for a glass of vino! You can grab a bottle for the hotel room ! It's Sommelier David Lynch's project and I swear I want it to be named after Tulsa's Annie Clark !!! (It's actually named after St Vincent of Saragossa) But one can dream and Annie is so my girl crush and it should have been named after her ! Come on David Lynch..get with the program ! Watching Annie play electric guitar is seriously just unbelievable! Check it out here. Showing my fox sweet SF was magical ! And I really cannot wait until we go again or maybe one day we will strike the big lottery and move here !!! I can see it ! I really can ! From past trips do have breakfast at Dottie's , Have a chimay at The Grove, Take a selfie with Francis Ford Coppola's place, enjoy Indian cuisine at Dosa on Fillmore, see a show at The Fillmore (one of the BEST music venues in The U.S. : Gary Clark Jr was amazing there) find a vintage gem in Height Asbury and have a Ruby at Magnolia Gastropub after you shop! See a Giants game even if you hate baseball. And most importantly kiss that beautiful place hello for Sam and meet my bicycle named after my heavenly SF spot! 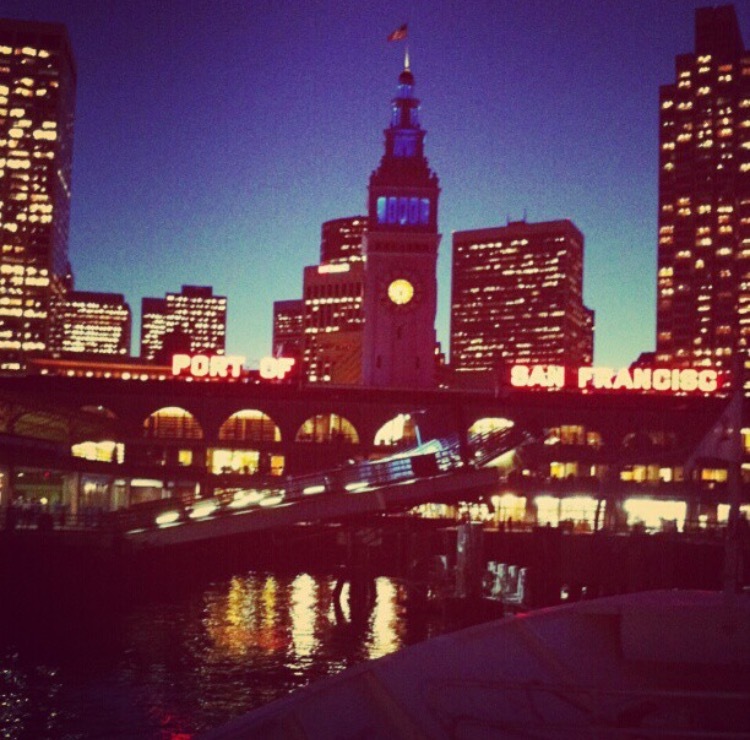 I left my heart in San Francisco surely ..just like you Tony ! Happy traveling and happy shopping !